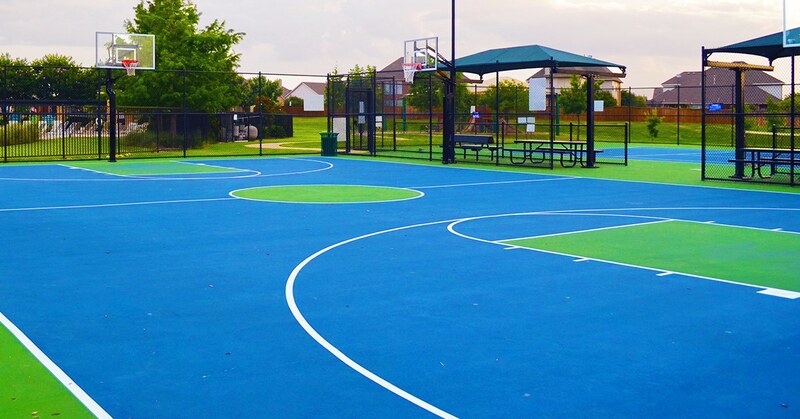 NuCourt Roll Coat is a water based acrylic coating developed specifically for short nap roller applications to asphalt and concrete sports surfaces. Used in conjunction with the NuCourt Range of products as a complete finishing system, NuCourt Roll Coat will provide a long lasting, resilient surface that is non-slip. NuCourt Roll Coat is manufactured in black, white and six industry standard colours. For large scale projects, custom tinting is available upon request. The surface must be clean and free of all lichen, moss, grease, oil, chewing gum, silicon and other foreign matter. Moss and Lichen Contamination: Use Nutech Hypo in accordance with the relevant TDS allowing the surface to thoroughly dry after preparation is complete. Grease & Oil: Use Nu-EcoSafe Degreaser in accordance with the relevant TDS. High pressure water blast > 2500 PSI to remove any grease, oil, food or stains. Allow to thoroughly dry. Repair: All non-structural cracking and any surface damage. Nutech Paint recommends seeking professional advice regarding any structural or drainage issues prior to commencement of works. Any ponding of water deeper than 20mm will require patch repairing. Pour a windrow of NuCourt Roll Coat parallel to the court edge. Apply even downward pressure and avoid leaving thick film sections on either side of the applicator. Walking in the direction of the windrow, spread with the applicator to obtain an even cover then, reverse direction. Second Coat: Apply NuCourt Roll Coat in the above described method. The information given in this data sheet is based on many years experience and is correct to the best of our knowledge. However as the use of our product is beyond our control we can only be responsible for the quality of our product at the time of dispatch. For additional information about specifications or application please contact our company. As this information is of a general nature we cannot assume responsibility for individual use.